European Zenair Fly-in - ALL WELCOME! ​All Zenair owners/pilots are warmly invited to attend this European-wide "Zenair Fly-in" on July 1st! Barge Aviation is hosting this new fly-in and "Open Hangar Day" at its new facilities at the Nancy Airport (LFSN). Heintz brothers Matt (from Zenair Canada) and Sebastien (from Zenith Aircraft Co. USA) will also be at the event. On this occasion, a number of new updated Zenith Aircraft kits for the two-seat Zenith CH 750 and CH 650 designs will also be on display, demonstrating the extreme ease of kit assembly with extensive use of the final-hole-size CNC match-drilled technology newly introduced by Zenith Aircraft. A number of finished demonstration aircraft will also be on display. 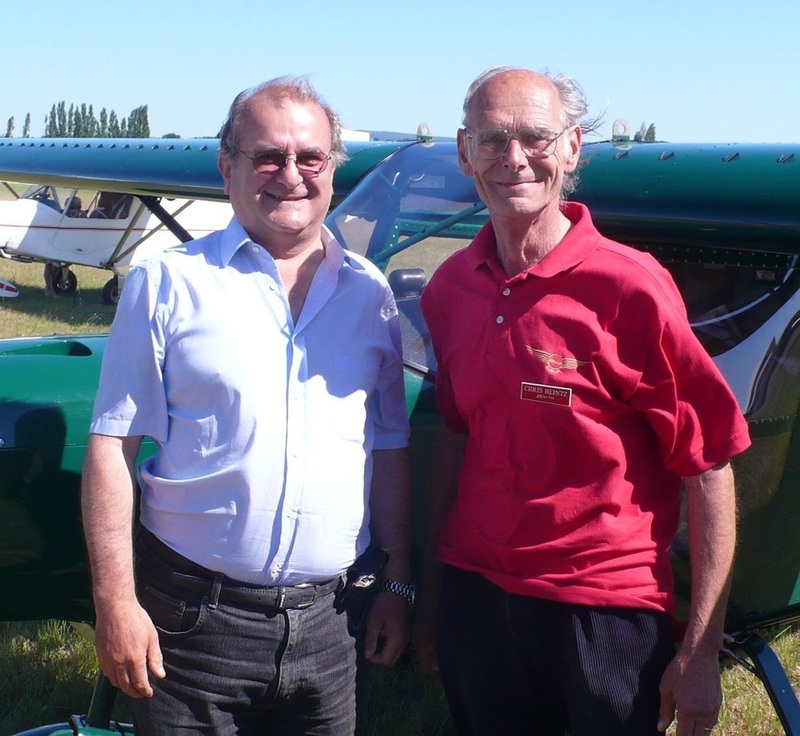 Yvan Barge, president of Barge Aviation states: "We invite all Zenair builders, owners, pilots and enthusiasts to this first European Zenair fly-in; we are also pleased to have the Heintz brothers lead this first assembly workshop. Join us for talk, insights, food, and fun"! For more details contact Barge Aviation. 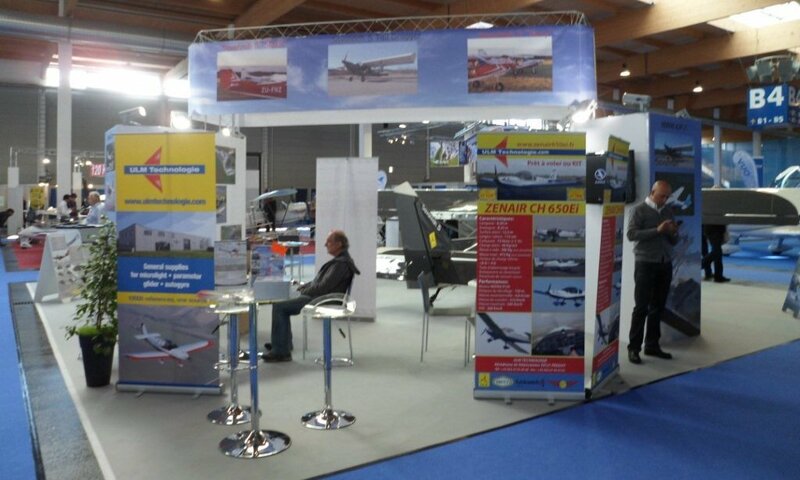 Zenair was again well represented at this year's premier sport aviation event in France. ULM Technologie flew in with their CH 650Ei ULM while Barge Aviation had their CNSK Zenair on display. Both companies continue to market and sell Zenair aircraft in France, as kits as well as ready-to-fly. Chris Heintz, Zenair founder, was also on-hand, signing the just-released French edition of his successful book: Flying on Your Own Wings. For more information on the aircraft - or the book - contact either distributor directly (see links). Chris Heintz - along with several European Zenair representatives - officially received the latest German Type Certificate (T/C) issued for the Zodiac ULM series at Aero-Friedrichshafen this year. This new Kennblatt (No. 61196.3) makes it possible for owners to register and operate the newest version of the European-built CH 650-Ei in Germany - and wherever else the T/C is recognized. Also on display at the show was a brand new factory-assembled CH 650-Ei with 100HP Rotax and glider-towing option. The Zodiac all-metal low-wing ULM is now among the most affordable certified ultralights available to European pilots. The basic ready-to-fly model starts at less than 55,000 Euros (before taxes)! For value, comfort, visibility and reliability, no other aircraft comes close; no wonder more and more aero-clubs and flight schools are turning to the CH 650-Ei. The crate containing the kit for a Zenith CH 750 Cruzer was opened at AirVenture 2014 at 8 am on the first day of the show. Just a week later, on Tuesday, August 5, 2014, the airplane that over 2500 people helped to assemble during the One Week Wonder project flew for the first time. 40th Anniversary gifts & paraphernalia! New Zenair T-shirts, caps, lapel pins and more are now available on-line for builders, pilots and fans of Zenair Aircraft designs: Join us all in celebrating this anniversary year! These distinctive, quality items can be ordered online using PayPal or a common credit card. All items make great gifts! Two new sticker designs being offered are ideal for use on the aircraft (fuselage sides, tail, etc. ); smaller stickers can be added to a window (car or plane), tool box, log-book, etc. Zenair once again actively participated at this important European showcase in Germany. The company's presence was not as extravagant as last year for the inauguration of its new CH 650Ei factory-built ULM, yet Zenair representatives were stationed at multiple displays in 2013. 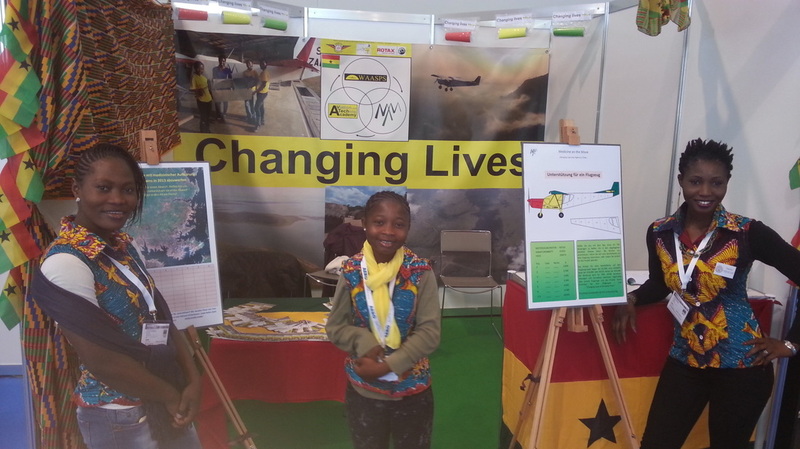 ULM-Technologie could be found promoting the new ready-to-fly CH 650Ei while members from WAASPS also manned a display and offered public forums on how they use Zenair designs in their humanitarian efforts in Africa... Click on links in text for details. Zenair unveils the new CH 750 CRUZER! Zenair unveiled its newest light aircraft design at the Sun’n Fun Fly-in this year. The all-metal two-seat CH 750 Cruzer! The aircraft weighs 353kg and has a design gross-weight of 653kg providing a remarkable useful load of 300kg (600lbs.) as an amateur-built (Experimental) aircraft. Cruise speed is 118 mph, rate of climb is 1,200 fpm, and stall speed is 39 mph. Complete airframe kits for the new design will be available from Zenair (or its repre-sentatives) starting in May 2013. Read more about it here! 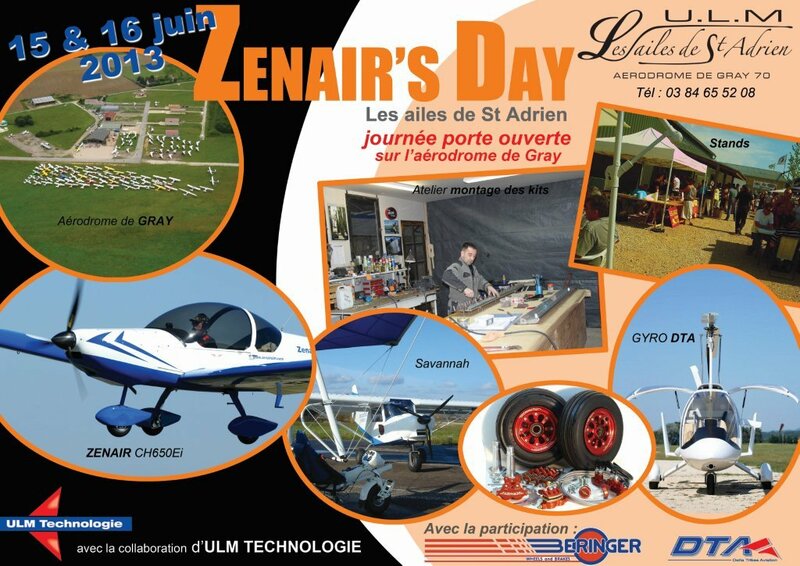 All Zenair owners, flyers and friends are invited to fly in or drive to this new event hosted by "Les Ailes de St Adrien". Come see and try-out the new CH 650Ei and visit with other Zenair fans from far and wide! Click on poster (at right) for more info. or see here. New X-Plane Flight Simulator for the CH 650! After the very successful 2011 release of the CH 750 flight simulator program, Zenair and hydroz.net have now just released a very similar program for the new Zodiac CH 650. The Free CH 650 download is available HERE. The X-Plane software necessary to run the program is available directly from X-Plane HERE. ENJOY! We did it! The best new value in a factory-assembled low-wing all-metal ULM! Individuals and clubs were impressed! Click here for details and photos! Pilot magazine is the best-selling general aviation magazine in Britain. Dave Unwin is the magazine's Flight Test Editor and is the former editor of Today's Pilot magazine, and has also written for Plane & Pilot, PilotMag, Flug Revue, Sailplane & Gliding, Flyer, Wingspan, FlyPast, Airliner World, Airports International, Air International, Maxim, the Sunday Times and the Financial Times. 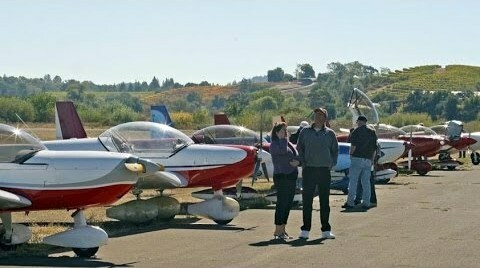 He has been flying for 26 years and has accumulated around 4,300 hours in about 250 different aircraft types, ranging from antique gliders and vintage biplanes to modern turboprops and jet fighters. "I liked the CH650 a lot ... it offers exceptional value for the money." NEW Factory-assembled Ready-to-fly Zenair ULM! Zenair Europe is very pleased to announce that the latest version of the Zodiac CH 650E will be unveiled at Aero-Friedrichshafen this April. The Italian-built aircraft will be manufactured as the CH 650Ei by ICP and sold by regional Zenair distributors throughout Europe as a ready-to-fly ULM (MTOM 450 kg + 5%) . 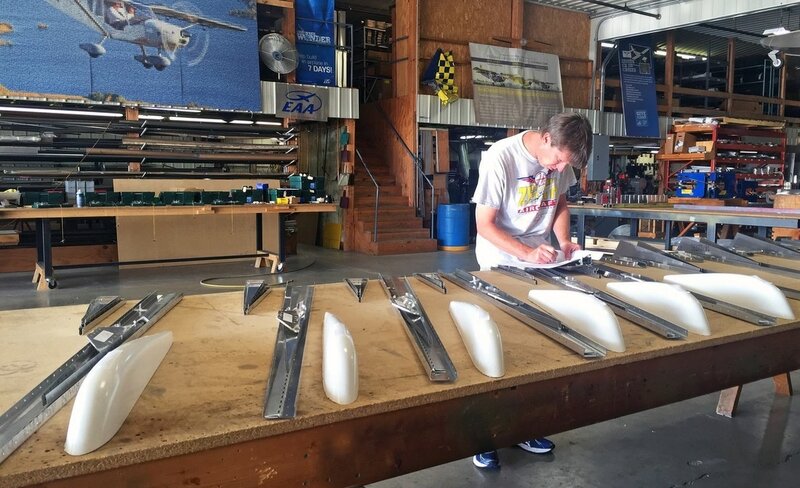 ICP was a Zenair dealer in Italy in the early 1990s before it began manufacturing its own high-wing aircraft; the two companies are now collaborating again to bring a top-quality, high-performance all-metal low-wing design to market. New X-Plane Flight Simulator for STOL CH 750! A free download (created by hydroz.net) can now be used to virtually fly the STOL CH 750 using the X-Plane software. X-Plane is the leader in flight simulation software, using "virtual wind tunnel physics" to realistically simulate the real thing. Sure to become a favorite among armchair STOL pilots! 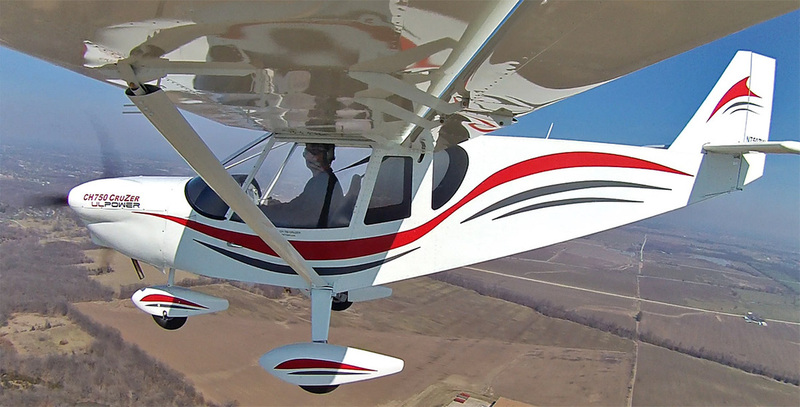 Click Here for the FREE STOL CH 750 program. Christ Heintz designs gather at Oshkosh 2011. Likely the largest gathering of Zenair aircraft owners and builders ever assembled will convene on Oshkosh at AirVenture 2011 to celebrate company's various models of airplanes and the man who created them. Over the years, Chris Heintz has introduced more than a dozen successful kit aircraft designs, including the STOL CH 701, Zodiac CH 601, CH 650 LS and LSi, STOL CH 801, Zodiac XL, STOL CH 750 light-sport utility kit airplane, and CH 2000. "Zeniths to Oshkosh" is a grassroots effort created through various Internet groups involving owners and enthusiasts from around the world. Zeniths to Oshkosh organizers have reserved an entire floor of dorm rooms at UW-Oshkosh's Gruenhagen Conference Center - there's already a waiting list established for those - and they're also arranging private housing for other participants. Attendees are coming from as far away as Australia and New Zealand, said Joe Scheibinger, 601 builder/owner from Oshkosh. Fifty aircraft parking spaces have been reserved in the Homebuilts area, and they're expected to be filled, with about 25 owners already reserving a spot. "It looks like getting 50 Zeniths to Oshkosh will be a lot easier than I thought," Scheibinger said, adding that Zenith owners who bring their airplanes to Oshkosh will receive a commemorative presentation plaque. Monday will be designated Chris Heintz Day and will include a special recognition event on the West Ramp with examples of Heintz-designed aircraft followed by showcase flights. Other events during the week will include forum presentations on the various Zenith models, an address by Chris Heintz at the Homebuilders Hangar, and a banquet. Planning for these events is ongoing and will be announced when finalized. For more information, e-mail Scheibinger or call 001-920-237-1450. Not only is Italy the first country in Europe to have flying STOL CH 750 (two of them! ), it is also first in the world to have one of these aircraft flying on amphibious floats! You can follow the exploits of Guiseppe Lomonaco, builder and pilot of the first float-equipped STOL CH 750 on his personal blog where he posts comments, pictures and even videos. For more information on the STOL CH 750 in Italy, please contact one of the two official Zenair Represetatives there. The STOL CH 750 is Zenair's newest aircraft design in the LSA category. It is currently Zenair's best seller in the US and Canada. Rugged, roomy, and extremely STOL! The STOL CH 750 in now officially recognized in France as a CNSK; This means the aircraft can be assembled from advanced kits; with professional assistance, and can also be used for limited commercial applications such as flight training and towing. The CH 750 is also available in other European countries under various regulations. It is currently pending approval in the UK by the LAA. These new online parts catalogs makes it easy to identify all the parts an owner/operator might need; makes it easy to order new or replacement parts for the various Zenair aircraft models. These catalogs will be especially appreciated by owners who purchased a ready-to-fly Zenair (and who therefore might not have received the full assembly drawings - always used to identify individual parts in the past). This event is the largest annual ultralight gathering of the year in France. With well over 100 exhibitors and close to one thousand ultralights in attendance, it is one of Europe's finest. Great weather helped make this year's show another great success; Zenairs were flown in from as far away as the UK, Austria and Italy. Read the rest and see pictures HERE. Euro Fly-in: A big success for Zenair! After a very wet spring, Zenair owners came together from three countries to spent the longest day of the year together in Epernay, France. For pictures and more details, you can read all about it on the Zenair Newsletter website here. We all look forward to better weather for the summer's upcoming fly-ins. Zenair encourages all aircraft owners to attend these events (see calendar) and to share their experiences with others afterward.